The Timberline Tours Coffee Pot Road jeep tour is a full-day specialty trip that will take you into an exploration of a remote area near Eagle and Glenwood Springs, Colorado, that’s known for its unique natural beauty. 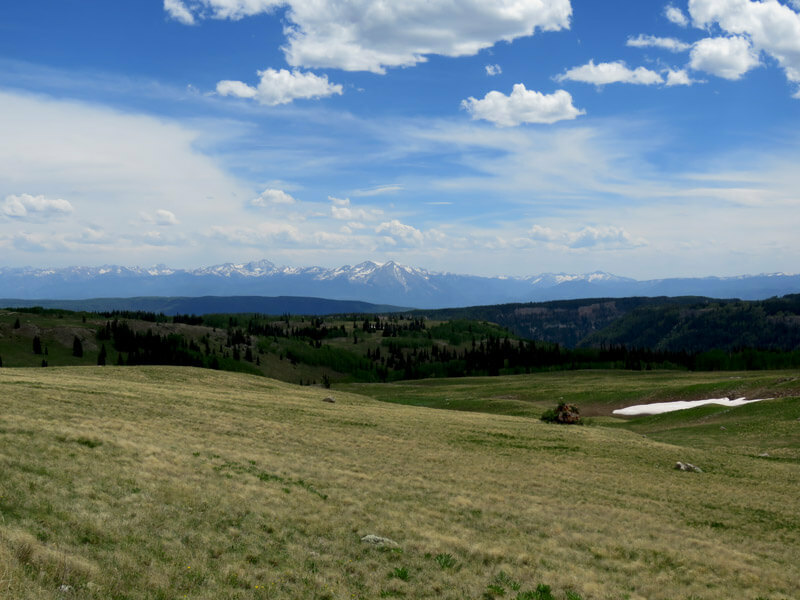 Scenic overlooks, high-mountain lakes, wildlife sightings, and wildflower vistas are all highlights of this jeep tour that borders Colorado’s famed Flat Tops Wilderness Area and travels high above Glenwood Canyon. The Coffee Pot Road jeep tour begins and ends at the Timberline Tours boathouse and jeeping hub in Eagle, Colorado, where parking is available for guests. Our expert guides who have extensive local knowledge will pick you here for the start of the jeep tour and then begin driving west to access Coffee Pot Road, which meanders along the Deep Creek confluence with the Colorado River. 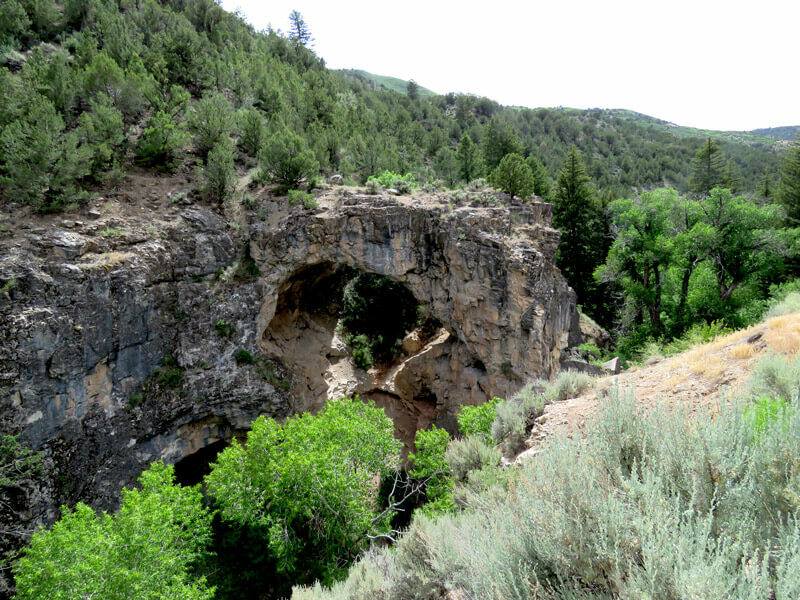 This winding and narrow gravel road features several scenic pullouts along the way that open up to spectacular views of the Eagle Valley, Gypsum Ponds, and the 2,400-foot-deep canyon carved by Deep Creek. The Coffee Pot Road jeep tour continues well above Glenwood Canyon and its famed hanging lakes as it travels through meadows where elk herds and wildlife are often sighted. Along the way, you’ll learn more about the unique geology of the White River Uplift and discover the beauty of several natural water sources, including Broken Rib Spring, White Owl Lake, Heart Lake, and Deep Lake, popular fishing destinations. 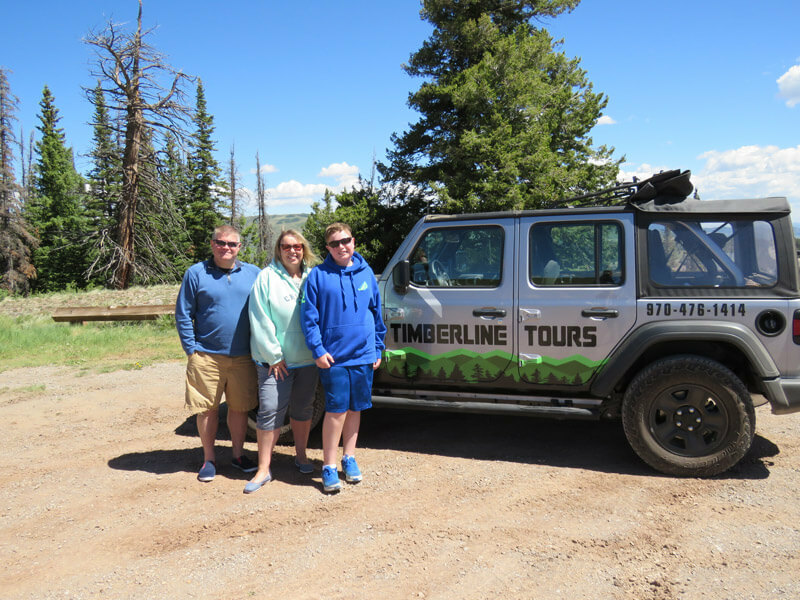 This family-friendly jeep tour includes lunch and takes approximately 6 hours round-trip from the Timberline Tours boathouse and jeeping hub located at 1432 Chambers Avenue, Eagle, Colorado, 81631. This specialty jeep tour is designed by Timberline Tours jeep guide Bill Johnson, who spent 40 years working with the White River National Forest on the Eagle Ranger District before joining Timberline Tours as a jeep guide in 2017. Timberline’s Coffee Pot jeep tour guides share Bill’s enthusiasm for the outdoors and his extensive local knowledge of this area’s wilderness and backcountry trails. A deli-style boxed lunch is included on this jeep tour. We are happy to accommodate any specialty snack or beverage requests if given prior notice.